26 UNIQUE A-Z cards, each with 4 related images. 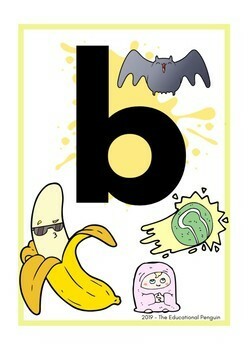 These are PERFECT for HELPING your students master the letters of the ALPHABET. 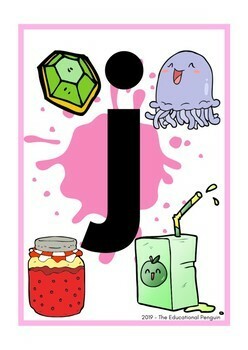 They can be used in theme lessons, as wall decorations or even for review. 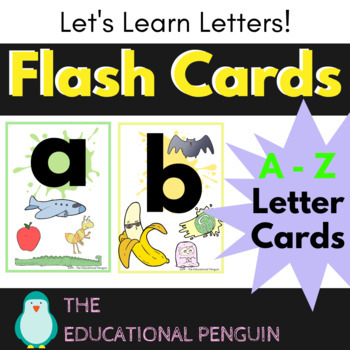 These A-Z cards are designed to be used in tandem with the ABC Letter and Phonic Recognition Workbook. 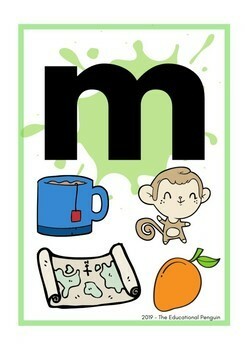 Their design is fun, colourful and a little bit silly which will help your students keep focused while they learn! For more fun, silly and visual learning materials feel free to click that green star.